Yasmin would give anything to have a friend . . . And do anything to keep one. The first time I saw you, you were standing at the far end of the playing field. You were looking down at your brown straggly dog, but then you looked up, your mouth going slack as your eyes clocked her. Alice Taylor. I was no different. I used to catch myself gazing at the back of her head in class, at her silky fair hair swaying between her shoulder blades. If you’d glanced just once across the field you’d have seen me standing in the middle on my own, looking straight at you, and you’d have gone back through the trees to the path quick, tugging your dog after you. You’d have known you’d given yourself away, even if only to me. But you didn’t. You only had eyes for Alice. 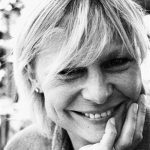 Tasha Kavanagh worked in film editing for ten years, on features including Twelve Monkeys, Seven Years in Tibet and The Talented Mr Ripley. She has an MA in Creative Writing from UEA. She has published several children’s books under her maiden name, Tasha Pym. She lives in Hertfordshire with her family. 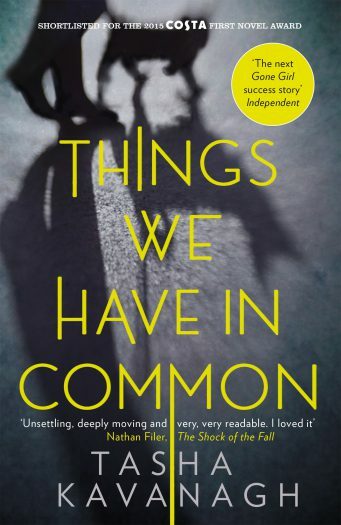 Her first novel Things We Have in Common has been shortlisted for the Costa First Novel Award 2015 and the Guardian Not the Booker Prize.